Cladonia ciliata. This species comes in two varieties. Cladonia ciliata and Cladonia ciliata var tenuis. The majority belong to the tenuis variety which is greenish grey rather than greyish or even dirty white. 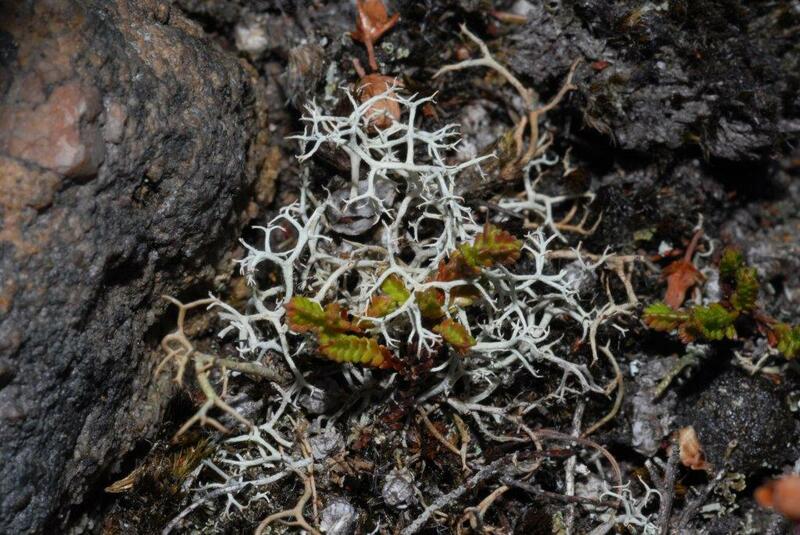 It is separated from Cladonia portentosa in having most of the terminal tips divided into two rather than three. It is a common species, especially in heathland, though it has a broader range of habitats. This photograph was taken on Portelet Common in Jersey.